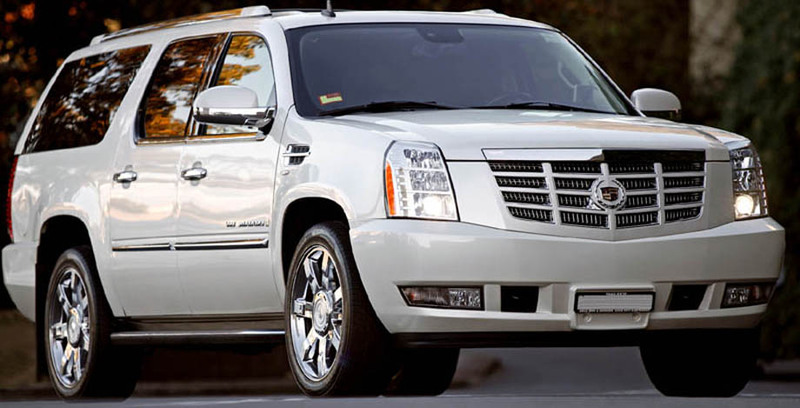 Introducing the Luxury Cadillac Escalade. Launched by Cadillac for celebrities, athletes and hip hop moguls, make a statement arrival at your next event with The Luxury Cadillac Escalade. 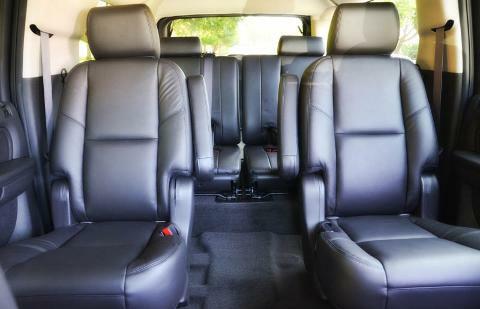 Available for hire as a luxury SUV seating up to 6 passengers. Featuring a fully appointed leather interior and wood trim, LCD/DVD system, bose sound system, and a V8 engine that packs a punch. Transport up to 6 guests in statement style in a private chauffeured Cadillac in Sydney. Perfect For: Hens Parties, Bucks Parties, School Formals, Corporate Transfers, Birthday Celebrations, Sporting & Social Events, Weddings and more. Secure your booking today with a 50% deposit. Book online*, or call 1800 697 278. We will check vehicle availability and confirm your booking within 24hrs - nice and easy! * Online pricing is based on transfers within 55km of Sydney CBD. For locations outside of this please enquire. Balance payment is due 14 days before your transfer date. Deposits are 100% forfeited in the event of a cancellation. The hirer will be charged the full balance amount for cancellations within 14 days of the travel date. Do you require a bond and what does it cover? The hirer must provide a valid credit card to be securely held against the booking as security against damages/excess cleaning. Charges will only be applied in the event of a claim. Can you accommodate multiple pick-ups and drop-offs? Sure thing! If you have an itinerary in mind or would like us to create a customised package for you simply get in touch via our 'contact us' link. What is the latest return time available? 1:00am. My Event Date doesn't appear to be available? Don't despair, get in touch with our Events Team on enquiries@ozpartyevents.com or 1800 697 278 . We may be able to work your itinerary in around existing bookings or alternatively provide a suitable alternative. How many guests can I have on-board? Up to 6 guests dependent. Seated only travel. Do you allow alcohol on board? Yes, provided all guests are aged 18 +. What alcohol can we bring on board? A maximum of 2-3 drinks (equiv.) per guest is permitted during the outbound journey ONLY. Bottled wine, canned beer, cider and RTDs ARE permitted. NO hard liquor, bottled beer or soft drinks with broken seals are permitted. Do you allow food on board? Food is NOT permitted on-board. Sweets may be brought on-board for children's events on request. Will you provide glasses on-board? No - please BYO cups. Is there storage on board? Small items (handbags etc.) may be brought on board. All belongings must be taken with you on departing the vehicle. Is there a toilet on board? No - however a toilet stop will be programmed for long journeys. Can I decrease or increase my vehicle size if the passenger numbers increase/decrease? We will always endeavour to accommodate a change in vehicle request, however changes are subject to vehicle availability and cannot be guaranteed. Changes may incur a fee.